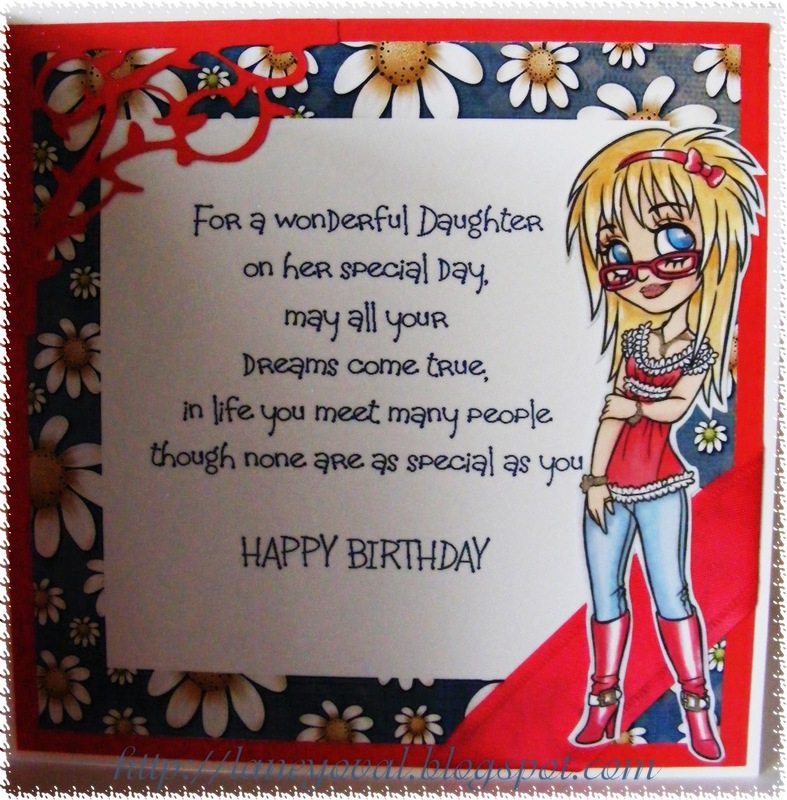 Brilliant card Laney, just love the colours and design of this one and such a great image. 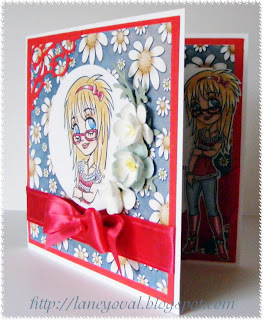 Fabulous card Laney, love the image and great colours. 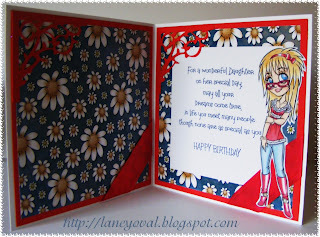 Love the red corner die cut, really pretty! Thank you for joining us at Tickled Pink Stamps Challenges this week and good luck with the draw! This card is just wonderful Laney! Thanks for joining us at TPS this week and good luck! This is fabulous inside and out Laney, love it! HI Laney, I'm still in love with your paper looks like I'm going to have to get that CD and I have a small forest worth of paper here! What a great card! I love the paper with the flowers on, beautiful! Christina looks good also, how fun to have her on the inside too. Thanks for playig at TPS Challenges this week! Hi Laney, what a brilliant card. Love the image and all the detail you've created, it's perfect. Oh, such a beautiful card. I have just bought that stamp, and I,m planning to make a card for my daughters confirmation with just that stamp. Brilliant card and I love the verse you have used on the inside. Great attention to detail. Thanks for joining us at Fab'n'Funky Challenges. What a fun card! Love all the added elements! 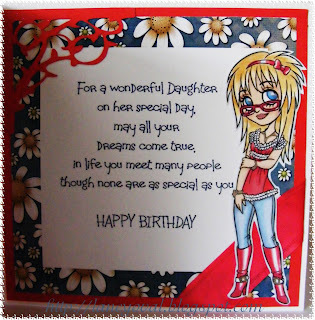 Sweet card for your daughter! Thanks for playing with us this week at One Stitch At A Time! Best of luck in the draw! Remember - you get another chance of winning if you use an image from the Stitchy Bear Store! Gorgeous colours!!!! Absolutely stunning card Laney. Thank you so much for playing with us at OSAAT. Lots and Lots of Mini Dots!! It's all about Love at Bling It On! !